First, allow me to congratulate you for assuming the Presidency of the Council for the month of August, and thank you for convening the debate on this crucial topic. I would also like to welcome the report of the Secretary-General on sexual violence in situations of armed conflict, which reflects both the appalling scope and devastating effects of this issue. Afghanistan remains fully dedicated to the implementation of Security Council resolutions 1325 and 1820 on the rights of women in conflict situations. It has become clear that the lack of a stable, secure state leads often to persistent violations of human rights, particularly women’s rights. Insecurity allows extremism to flourish, and makes it extremely difficult for governments and international organizations to provide even basic services to their citizens. Lack of resources and capacity limits the ability of governments to effectively enforce protective legislative and judicial mechanisms. Without the equal involvement of half of our populations in our civil societies, economies, and political systems, our nations are deeply incapacitated, and our children, economies, and even the stability of our countries suffer. Only eight years ago, under the brutal Taliban regime, Afghanistan had no provisions for the protection of women and human rights; but despite ongoing difficulties, we have made significant progress, particularly in education and healthcare. Women’s issues are taken into account at each stage of the national stabilization process and in national strategies like the ANDS. 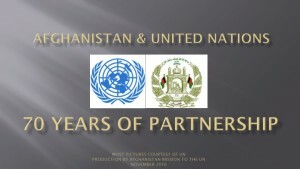 Afghanistan has the legal and judicial mechanisms in place to achieve success. We are also party to the relevant international mechanisms, including the Convention on the Elimination of All Forms of Discrimination Against Women (CEDAW). However, the ongoing support of the international community for Afghan efforts is absolutely necessary, both to encourage our citizens’ bottom-up efforts towards success and to sustain the government’s top-down labors. We have emerged from the darkness of a long national nightmare, but we still have more work to do. In the past thirty years, Afghans have experienced violence on an almost unprecedented scale. Persistent poverty and other symptoms of conflict have disproportionately affected women. And for the first time in the 1990s, during a bloody internecine war, physical and psychological violence was accompanied by horrendous acts of sexual abuse. The scars of these abuses continue to be seen and felt today. Women in Afghanistan still face not just sexual violence, but sexual discrimination and oppression caused and exacerbated by enduring insecurity and the terrorist activities of the Taliban and al-Qaeda. In some particularly unstable parts of the country, where the Taliban are still active or where the rule of law is not yet strong, women attempting to work or hold office face abuse, threats, and physical attacks. Other women have their rights curtailed, and are forced into marriage and other exploitative situations. Even in areas free of the Taliban threat, a creeping Talibanisation promotes an un-Islamic, un-Afghan culture that denies women’s basic rights. 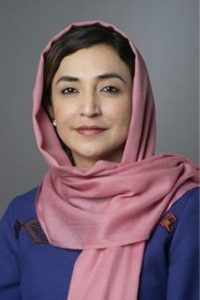 Afghanistan supports the Secretary-General’s analysis that a central step towards preventing violence against women is to combat gender discrimination, and to give women a larger role in political and decision-making processes. Afghanistan’s experience shows that there is no better advocate for women’s rights than women themselves, and so we must do everything we can to help them be heard. In the upcoming presidential and provincial elections, the participation of women will be crucial to success. We have had some praiseworthy victories: millions of women have registered to vote, and educational programs run by the Government, UNFPA, and UNAMA educate women about the voting process and their rights and opportunities as citizens. Our Constitution guarantees women at least 25% of seats in provincial councils, and 27% of seats in Parliament, and women have served as governors and in the Cabinet. A growing number of women have registered as candidates: a record-breaking 328 women are running for provincial councils, and 2 women are among the presidential candidates. Some women parliamentarians have suggested that security concerns may prevent them from presenting themselves in the upcoming 2010 parliamentary elections. Even if the governmental mechanisms are in place to ensure equality, women are silenced within a culture of shame, and even more do not demand their rights due to a lack of awareness or support. My Government will continue to enlist cultural, political, and religious leaders to encourage a proper understanding of women’s Islamic and political rights, and to explicitly and publicly condemn all violence against women and girls; impunity only reinforces patterns of violence. Afghan women need the support and protection of the UN, the international community and the government of Afghanistan as they work to transform society. The role of the UN and international community in this struggle should be to support the Government of Afghanistan with resources, knowledge, policy guidance, and capacity-building. Led by this Council, we should also encourage a moral and legal awareness of women’s rights both locally and in multilateral forums, and keep violence against women at the top of the international agenda. With this support, we can work to strengthen judicial mechanisms and decrease reliance on local, ad hoc justice systems that frequently disadvantage women. We can increase the number of women in the Afghan National Police and have more units dedicated to domestic violence. We can also do more to combat extremism and educate the public about the rights of women by publicizing and enforcing international and Islamic human rights norms. The women of Afghanistan continue to suffer from violence. However, social transformation, like political stabilization and economic development, is a gradual process that requires security and continuity. We have learned that the surest way to improve the situation of women is to provide them education, protection, and support, and to give them a platform from which to speak for themselves. My Government remains fully committed to this cause.